"The True Point of Ownership"
Tru-Point MarkersTM were designed, developed, and patented by Real Estate Professional, C.E. Truax. After decades of seeing problems and selling delays brought on by property boundary disputes, Mr. Truax designed Tru-Point MarkersTM to address these problems. Tru-Point MarkersTM will provide security and satisfaction property owners have not enjoyed in the past. Designed for use by Licensed Professional Surveyors, a Tru-Point MarkerTM is the final answer in Permanent Property Survey Monumentation. 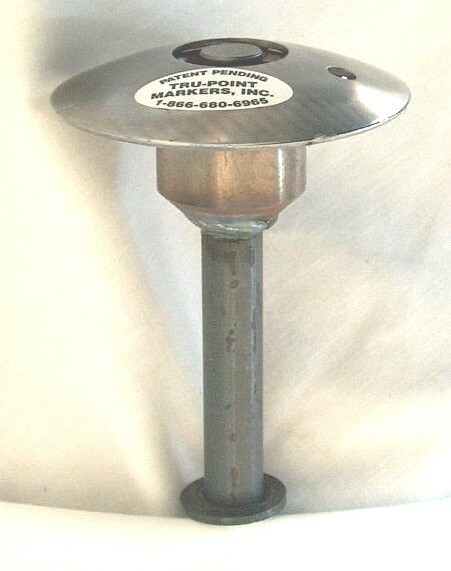 Property owners may purchase Tru-Point MarkersTM prior to their land survey, or may request the Surveyor return to install our markers in place of his original wooden stakes, rebar or other marking implement. Our variety of styles accommodate your every need in permanent property survey monumentation. Tru-Point MarkersTM are easily installed and the dome tops, which lay flush to the ground, are easily visible and do not interfere with normal use of the property. Mow, drive or walk over our markers with ease. Our 4 ft. fluorescent fiberglass rod may be used for added visibility from a distance, in tall grassy areas or heavy woods. 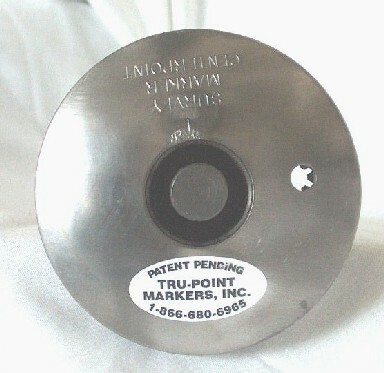 Engineered using quality Stainless and Cold-Rolled Steel, Tru-Point MarkersTM are manufactured to insure your boundaries will be easily known for many generations to come.